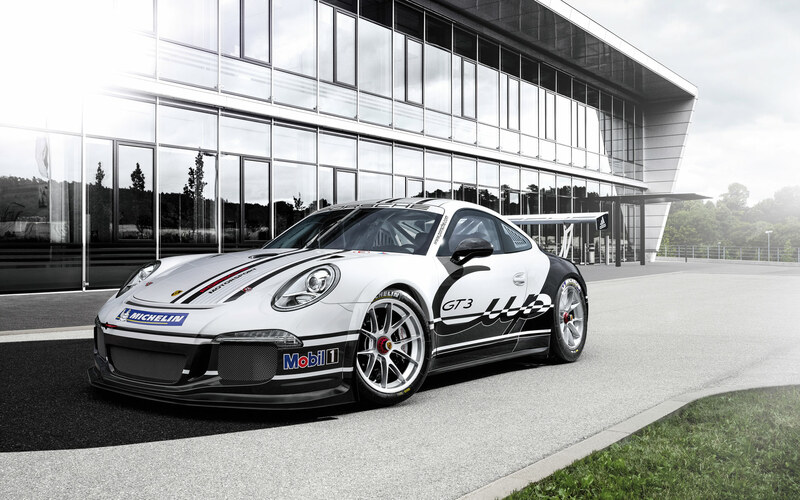 The new 2013 Porsche 911 GT3 Cup is based on the Porsche 911 series production model – a pure-bred sports car that offers an exceptional level of power and yet our engineers were able to raise it even further. How? By fighting hard for every kilogramme saved and every kilowatt added. 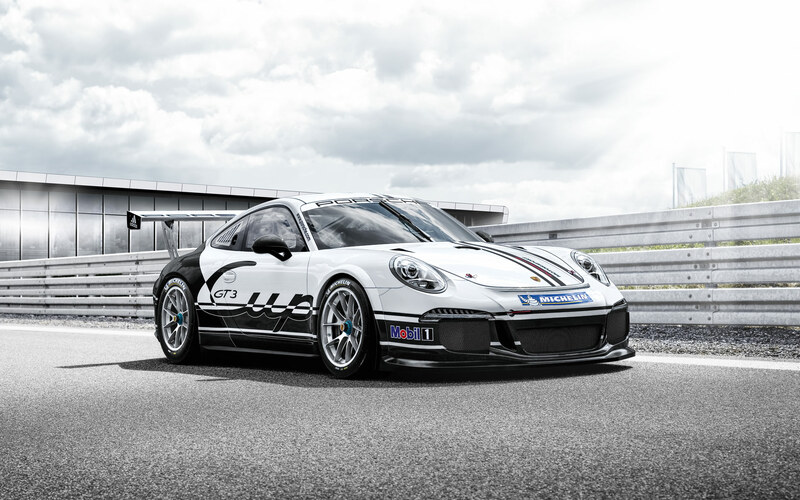 Thanks to the weight-optimised modular racing exhaust system, the 3.8-litre flat-six engine of the new Porsche 911 GT3 Cup now produces 338 kW (460 hp). 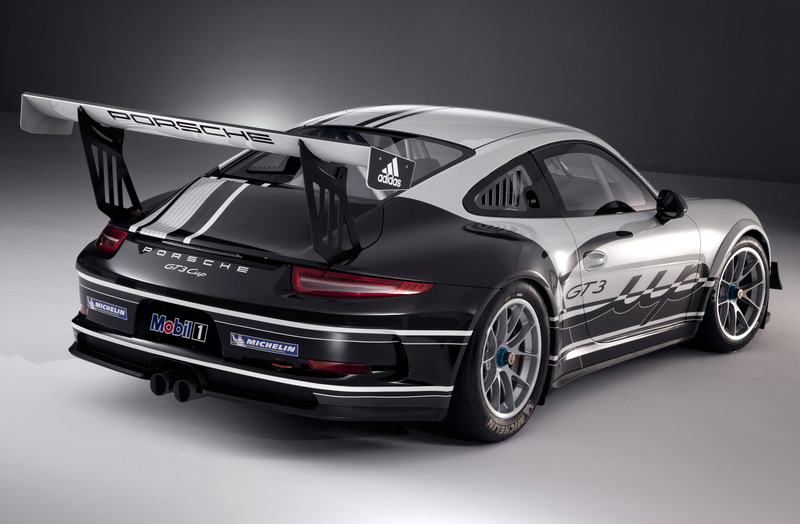 The power of the engine is transmitted to the rear axle by a racing clutch and a newly developed Porsche six-speed sequential gearbox with mechanical slip differential. The electropneumatic paddle shift system makes gear changes even faster and more efficient. 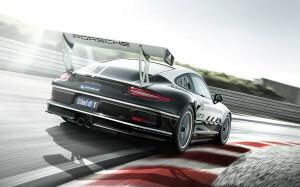 The Porsche 911 GT3 Cup is also quicker to decelerate. Fit for endurance the newly developed race brake system performs impressively and will impress rival drivers, who can now be overtaken under braking even more frequently. The stability needed is provided by the extended wheelbase – 100 mm longer than that of the predecessor – as well as the optimised chassis. 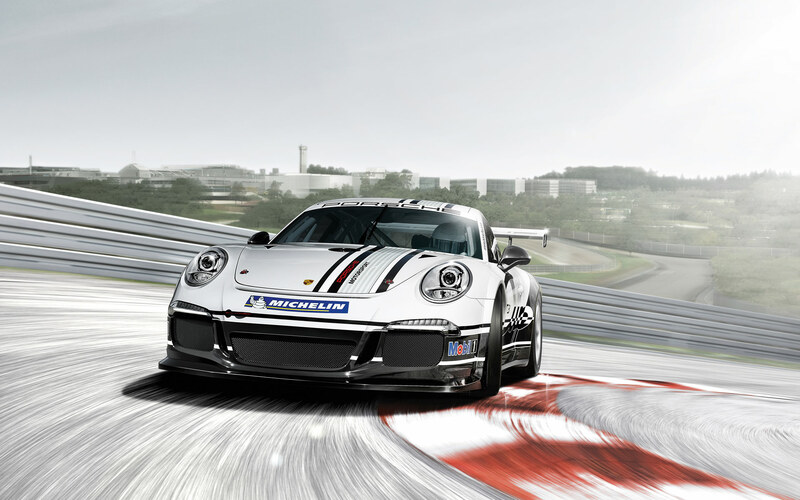 With over 2,300 sold, the Porsche 911 GT3 Cup is the undisputed number one among Porsche motorsport teams. 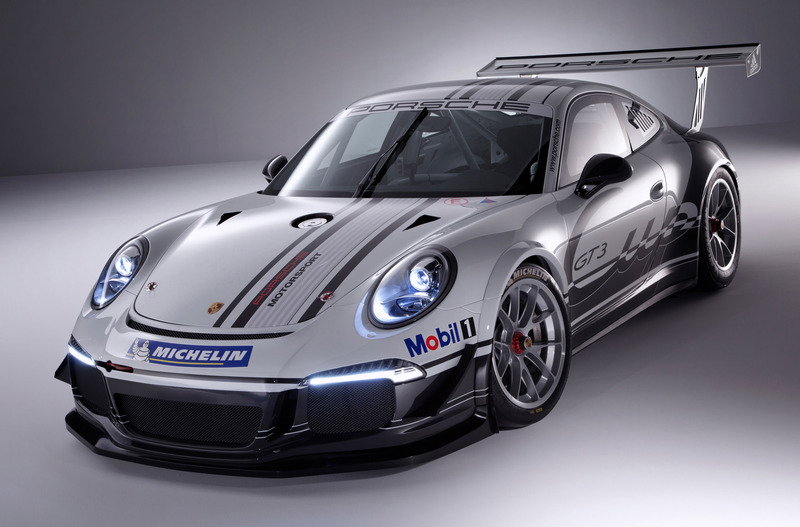 The car competes in prestigious racing events around the globe, including various Porsche Carrera Cups, the GT3 Cup Challenges and the Porsche Mobil 1 Supercup. 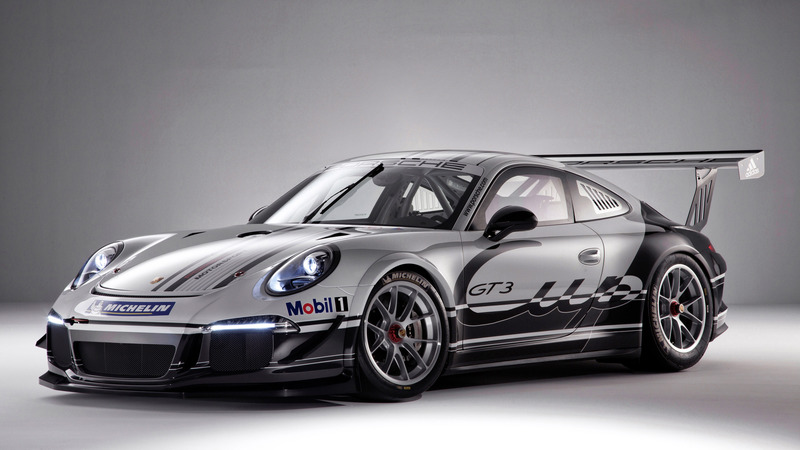 It also lines up in various GT racing series and endurance races. Why? 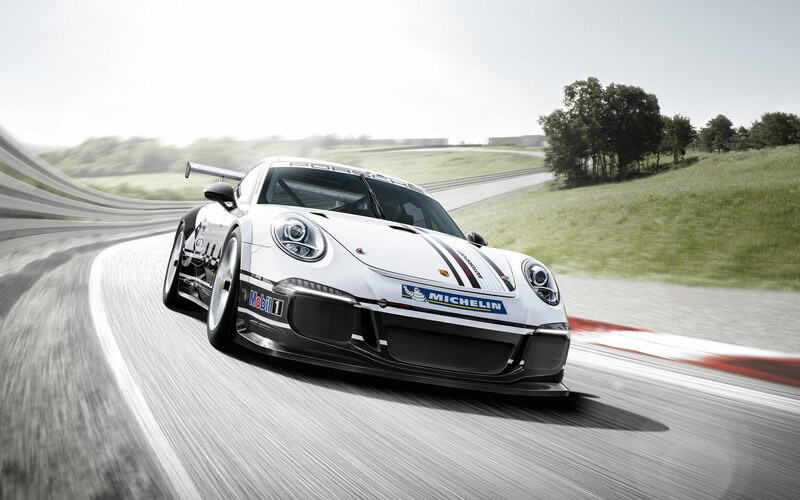 Because the Porsche 911 GT3 Cup has got what it takes. 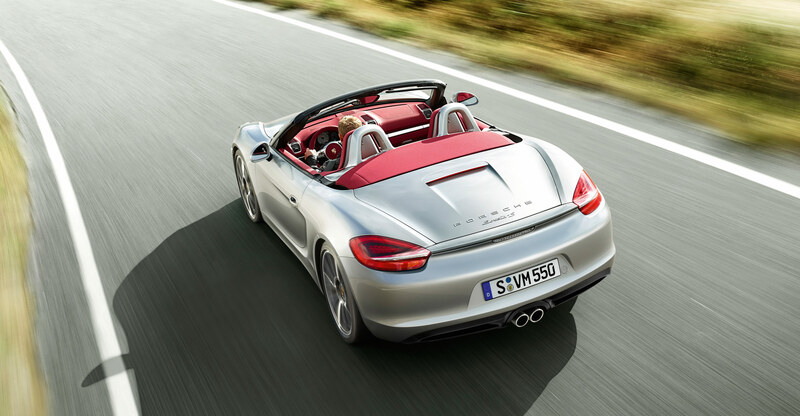 Specifically, we’re referring to a powerful yet extremely efficient engine and a sequential gearbox; the results of considerable development effort. 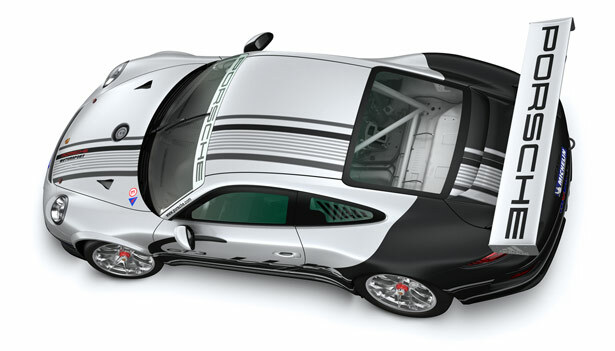 Then there is the bodyshell construction which is based for the first time on a combination of aluminium and steel and boasts improvements not only in aerodynamics but also in safety – another of our primary obligations. How is success achieved? By a show of strength, but only when this is combined with independent thought and actions. Take aluminium and steel, for example. 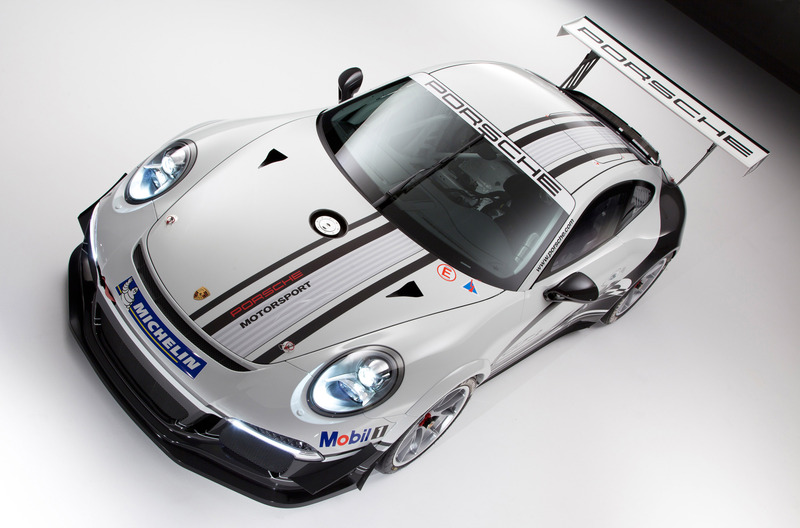 Both materials have been used in the new 911 GT3 Cup for the first time to form a complete bodyshell. New measures have been coupled with new standards. The integral two-mount rescue device, for instance, enables faster vehicle rescue, which also reduces the risk of further damage. This is combined with a newly developed rescue hatch for the occupants to be extracted safely from the vehicle. Our objective was to develop the best working environment possible for the most important factor in motorsport – the driver. 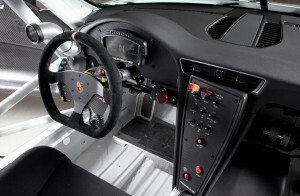 The cockpit of the 911 GT3 Cup has therefore been refined, both functionally and formally. After all, ergonomics plays a crucial role in motor racing, too. It is a principle exemplified by a new generation of seats with fore/aft adjustment which meet all current FIA requirements, and by the racing steering wheel, which adjusts for height and reach. The most important functions are assigned to switches and are intuitive to select: from the windscreen wipers, main beam, communications radio, power locking and alarm reset to neutral and reverse gear. The switch panel on the steering wheel has a matt carbon-weave finish.